It seems a contradiction in terms - on the one hand, build a second multi-million dollar multi-hull yacht. On the other, make people redundant. Yet that is the reality of the America's Cup right now. With the February 2010 multi-hull challenge fast approaching, BMW Oracle have taken further steps to cut costs at their Valencia base - affecting people involved with the conventional monohull challenge which, by most counts, will not take place until 2011. There are conflicting reports on the numbers involved - up to 18 have been mentioned but a BMW Oracle spokesperson, while apologising for not knowing precise details, said the number was more like eight or nine. One was the Kiwi fitness trainer Paul Wallbank, found dead last weekend in his Valencia apartment in mysterious circumstances after being laid off (see story p3). Carl Williams, a former Star world champion who represented New Zealand at the Beijing Olympics last year, is one of the sailors laid off in redundancies which are understood to involve mostly shore crew. Williams is currently said to be involved in the Volvo round the world yacht racing in Ireland and has also made it known that he may try his hand at cycling. It is not known whether any other Kiwis are involved - but there were plenty to choose from. 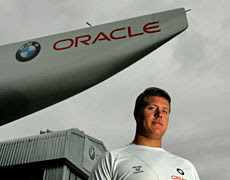 BMW Oracle had a total of 17 Kiwi sailors involved in the last America's Cup regatta in 2007. There have been changes since but there is still a large Kiwi contingent in Oracle's sailing and shore teams. In fact, BMW Oracle and Emirates Team New Zealand are the only Cup syndicates still alive. 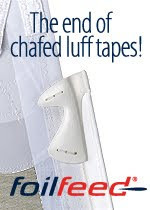 All the others have gone into abeyance; a hibernation until the multi-challenger America's Cup sailed in conventional monohulled yachts takes place again. Team NZ has had to make redundancies too, re-hiring sailors on a daily rate for their participation in the Med Cup in Europe this winter. Before things get back to a conventional footing, however, the big boat challenge between holders Alinghi and Oracle will have to be held. That's where the picture gets a little clouded - because Oracle are building another giant multi-hull after completing and testing the 90-foot rocket ship, known officially as BOR-90 but to some as 'Dogzilla'. It has wowed many with an apparent ability to produce speeds of up to 40 knots from a 20-knot breeze. BOR-90 cost something like $15 million and, while many may wonder about the reasons for building a second, ETNZ boss Grant Dalton says it is normal practice, money permitting, to build a second boat after absorbing the lessons from a prototype. However, there are persistent rumours that Alinghi have now chosen a venue other than Valencia - but are keeping quiet about it until the official deadline for announcement in August. Those rumours suggest a Middle Eastern venue - Dubai or Abu Dhabi or the like - where the winds are lighter than those liked best by Dozgilla.